JBL Flip 3 Stealth Edition is rated 4.4 out of 5 by 1333. Rated 5 out of 5 by alarmatwork from Nice sound, with tiny annoying things First of all.. sound is really great for such speaker. Microphone is also very good. Veri solid mobile speaker. I use it to watch series from iPad, having conference calls with phone or computer and listening Spotify while travelling. Only thing that is annoying is the ON and OFF sounds, which are really loud and I haven't found an option to turn it off. Specially annoying if you would like to turn off your speaker silently if people around you are sleeping. It would be perfect if you could configure ON/OFF sounds from the mobile app. I would also love to adjust equalizer from the mobile app for some apps the bass is too deep. Rated 5 out of 5 by ManfredHwong from Best Bass for a small and cheap speaker I bought this around 2 months ago at $120 Canadian and I am very happy with this speaker. It performs great indoors and outdoors and offers very deep and rich bass which does not overpower the mids and highs if there are vocals in the song. The design is very nice as it is one of the only speakers which you can actually see the sub woofers move a lot and it is also splash proof which adds why it is so great for all environments. The only not so great thing is that when it is played at max volume I find that there are some distortions in the lower frequencies, but most speakers around this price range or even higher such as the UE Boom have this problem. Rated 5 out of 5 by Bassplayer2112 from Best Bluetooth speaker I've had I am in love with the Flip 3. It's cheaper than many of its competitors and has fantastic sound quality, especially at high volume. Everybody is astonished at how awesome the high volume sound quality is. I work in construction and use it at work almost every day. The splash proof and dust proof design is particularly useful as well! I read an earlier review about the hissing/crackling noise and I can relate. It was fine for the first few weeks I owned it, but after a lot of high volume activity on it, it started hissing/crackling on low volume. It's a little bit of an inconvenience but I still give it a solid 5 stars! Rated 5 out of 5 by Schirmyver from Fantastic speaker/speakerphone for travel. 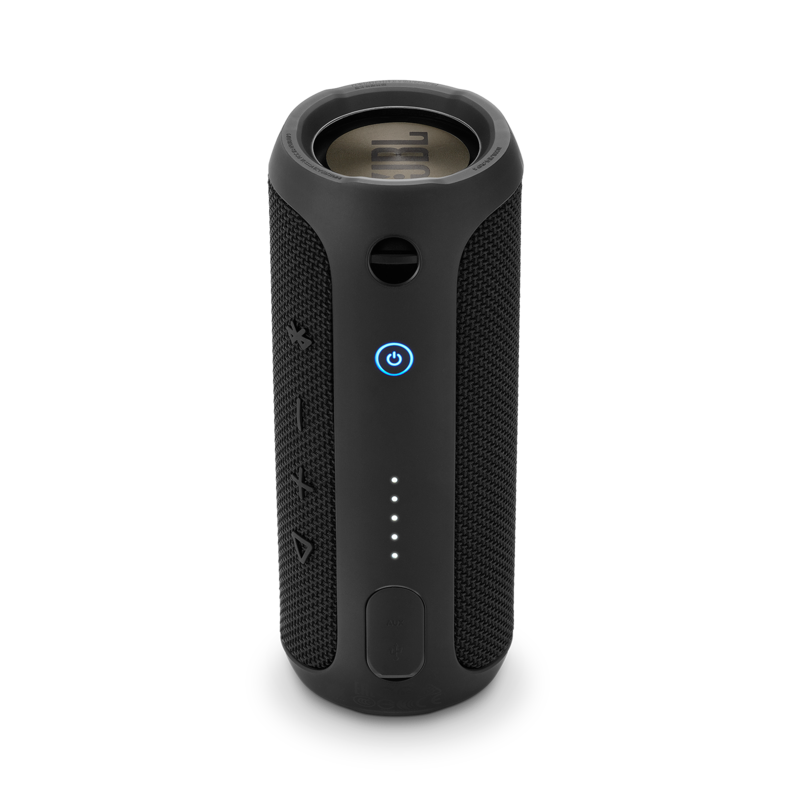 I was looking for a small bluetooth speaker to use for both music and conference calls while traveling. I have a JBL Horizon and love the sound from it, so I thought I would give the JBL portable speakers a chance. I was torn between the Charge2+ and the Flip3. I liked the added features of the Charge 2+, but I preferred the smaller size of the Flip3. I was expecting good sound, but I was blown away by the volume and quality. I have not used it for a phone call yet, but I do not expect any issues. I do not have a need (yet?) to connect multiple units, but I may buy another one just to have it handy for parties or outside listening. Rated 5 out of 5 by ebmSD from Best Compact Speaker Available This has to be one of the best sounding speakers at this size, and to me, it is one of the best looking speaker available. The Flip 3 sounds great from the low's to high's with just the right amount of bass, and can easily fill a regularly size room. I mainly it for playing instrumental music at low to medium volume in the house, and it's just perfect. Voices sound crisp and clear, and calling feature works flawlessly. Connecting to Bluetooth on my phone, Laptop and Chromebook is almost instantly... It sounds similar to the Charge 2, except the Charge 2 has slightly deeper bass on bass heavy sounds... Due to its ultra compact size, I can now have great sound in any room in the house and just about anywhere I go! 5 star speaker! Rated 1 out of 5 by Ynotbtrue from Don't waist your time or money on the Flip 3 If you can find the Flip 1 or 2 buy one of those instead, I was so happy with the Flip 1 and 2 that I bought everyone that is close to me one as gift. Never a single issue or problem. The Flip 3 on the other hand is truly the worst to date. Doesn't hold a charge, constantly turns off, doesn't work when directly plugged into a wall outlet, when the battery is low the sound gets so distorted that you have to turn it off. I'm so frustrated and disappointed with the Flip 3 that I had to write this review especially after seeing my friends Flip 3 doing exactly he same thing mine was doing. If you wanna go through what I've been going through buy one. Rated 5 out of 5 by Alan The Biker from Awesome Sound I am the type of person that will search for as much information as possible before making a decision on what would be the best value and meet my needs. 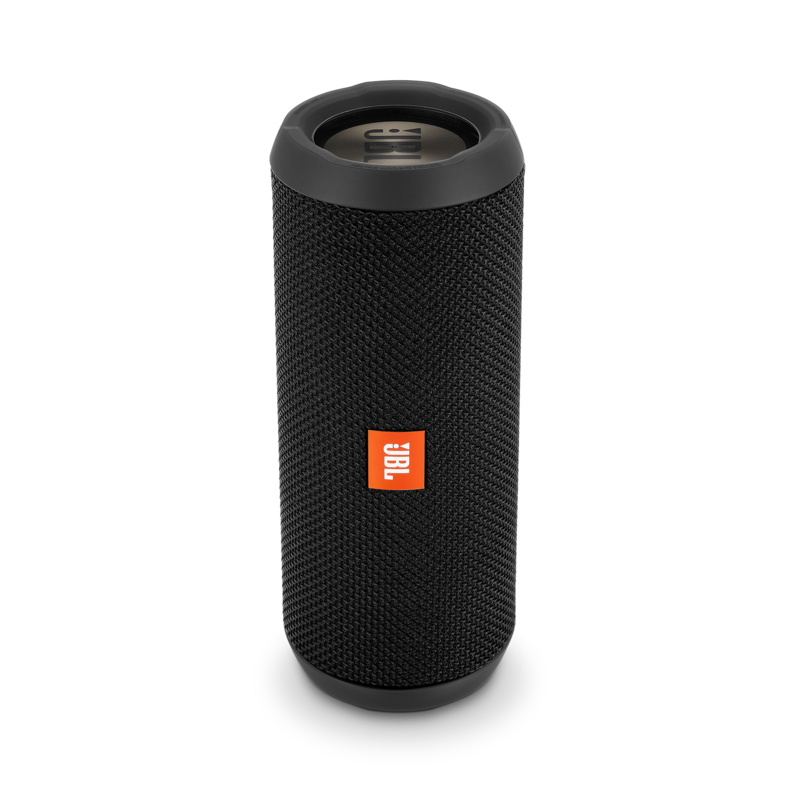 I spent weeks researching portable, Bluetooth speakers that provide great sound and can withstand being used outdoors and in the end the JBL Flip 3 came out on top. I am extremely happy with the quality and sound and am thoroughly satisfied. I travel and like to have my music playing, whether on a cruise, island or hotel room so did not want something bulky or heavy and the Flip 3 is perfect for throwing in a carry-on. I can't say enough about the clarity and range of sound. Way to go JBL!. Rated 2 out of 5 by HarmanKCustomer from Fabric covering and essentially no MANUAL A little concerned how the fabric covering is going to hold up. It would be nice if literature offered instructions on how to clean fabric covering. Heck, it would have been nice to have USABLE LITERATURE. Why in the world would you go to the expense to include a pamphlet that has the lightest shade of gray against a white background and smallest print possible? There is no user friendly manual and when you click on their MANUALS AND DOWNLOADS link on the JBL's Flip 3 webpage, you get nothing. Surely, JBL can do better than this. Listen to your customers, I've seen this complaint re: Flip 3 posted before. kan ik de flip 3 via bluetooth verbinden met mijn Xubuntu desktop? Kan jbl flip 3 connectie maken met een pc? Merci pour votre question. Pour recharger votre enceinte, il faut brancher l'enceinte &agrave; l'aide du c&acirc;ble orange fourni lors de l'achat. Si vous souhaitez recevoir une assistance personnalis&eacute;e, nous vous invitons &agrave; contacter le Service Client&egrave;le Harman par t&eacute;l&eacute;phone, par mail ou par chat. Vous trouverez toutes les informations de contact sur https://www.harmanaudio.fr/support-contact.html#ns. Merci. Thank you for your question. Unfortunately it's not possible to reduce the volume of the start-up. Should you wish to receive further support, you may contact the Harman Customer Support team by telephone, email or chat in order to receive direct assistance. Please see https://uk.harmanaudio.com/support-contact.html#ns for further details.&nbsp; Thank you. 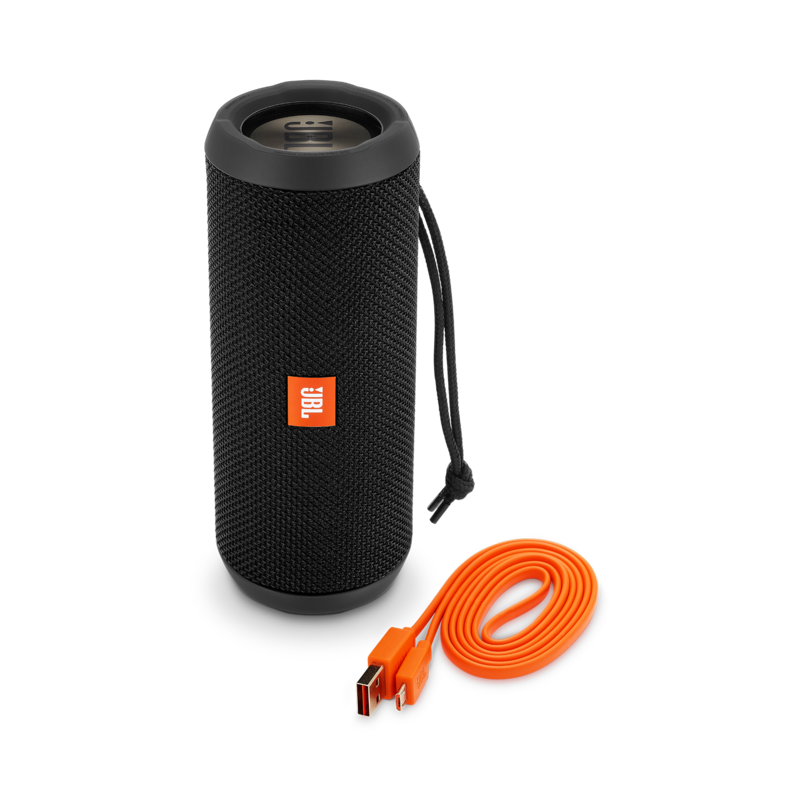 Can you connect to other jbl speakers (clip)so they can play music together? hank you for your question. Unfortunately, the Flip 3 Steal edition doesn't have the &quot;connect&quot; technology to be able to connect it to others devices. Should you wish to receive further support, you may contact the Harman Customer Support team by telephone, email or chat in order to receive direct assistance. Please see https://uk.harmanaudio.com/support-contact.html#ns. Thank you. Does the flip3 stealth have a low frequency mode? I have seen when the (volume down and Bluetooth pairing) buttons are held down on the flip3 *standard a red LED shows and it activates - but on my stealth it just says a sequence of numbers? Thank you for your question. 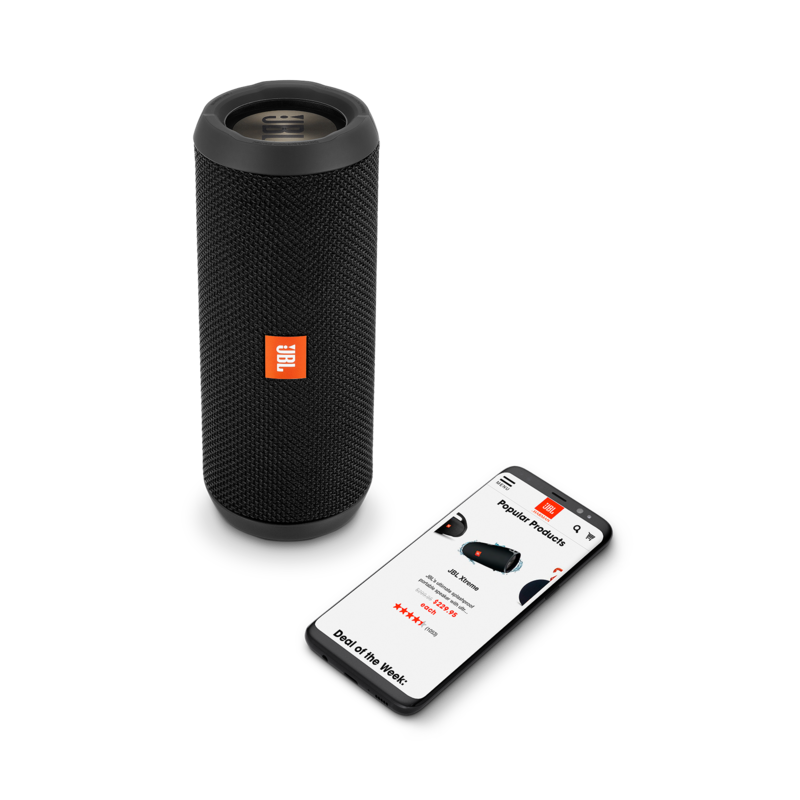 The Flip 3 doesn't have a Low Frequency mode, this mode is for service use only and should only be used by approved JBL repair technicians, if the speaker is put into this mode the warranty will be void and damage to the speaker is likely to occur. Is there any way to disable the VERY LOUD and ANNOYING startup, connect, and power off sounds? I downloaded the app and can't find an option through there. The startup sound is fixed and it's volume cannot be minimized nor disabled. Your feedback will be communicated to the proper department(s) to improve on future product designs. We apologize for any inconvenience caused. Hallo, ich habe meinen Flip 3 mittels Kabel an meinem Computer angeschlossen. Leider spielt er seit geraumer Zeit zus&auml;tzlich zur Musik einen Dreiklang in die Musik ein. Was kann das sein?